Online retailer Flipkart has decided to move away from its strategy of going app-only. Instead, it has re-introduced its mobile website, which it had discontinued in March. The light web version, called Flipkart Lite, will provide app-like experience, according to a report by The Economic Times . The new version claims to use less internet data than the previous version, and offer smoother scrolling and animations. "Websites push users to install the app. But only four per cent of the people actually install the app. Flipkart doesn't have a mobile website. So we wanted to give the experience of a native application on a mobile website," said Peeyush Ranjan, head of engineering at Flipkart, in the report. Flipkart, which is India's biggest e-commerce player, had been mulling about adopting an app-only model and phase out its desktop presence. Fasion e-tailer Myntra, owned by Flipkart, had gone app-only in May this year after killing its website, amidst mixed responses. An Economic Times news report suggested that Myntra saw a 10 per cent decline in sales following the move, even though Myntra officials refuted the claim. Last month, Flipkart had unveiled mobile-only offers in a bid to nudge customers to download the mobile app. An app-only strategy does help the e-commerce player concentrate on building up the mobile ecosystem which is expected to see an avalanche of customers given increasing smartphone penetration. However, as entry-level smartphone offer limited storage space for apps, there is a tendency to uninstall apps which are not frequently used. More importantly, media reports say Google has revamped its search algorithm with a penalty on App Install Interstitial, and that could have played a part in Flipkart's u-turn. Flipkart has 45 million registered users. The company aims to more than double the gross merchandise value (GMV) on its platform to $8 billion this year. 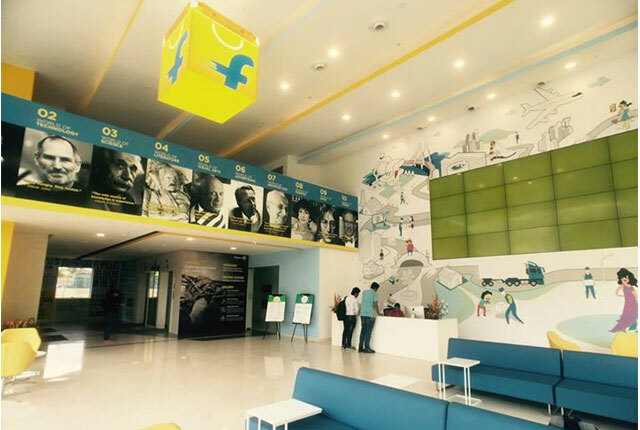 Flipkart, which is backed by Tiger Global Management, Accel Partners and others, raised $2 billion in 2014-15. The Singapore-based parent Flipkart Pvt Ltd was valued at $15.2 billion in the last round of funding. Flipkart's competitor Snapdeal recently said that it will continue with mobile and desktop versions for the time-being.